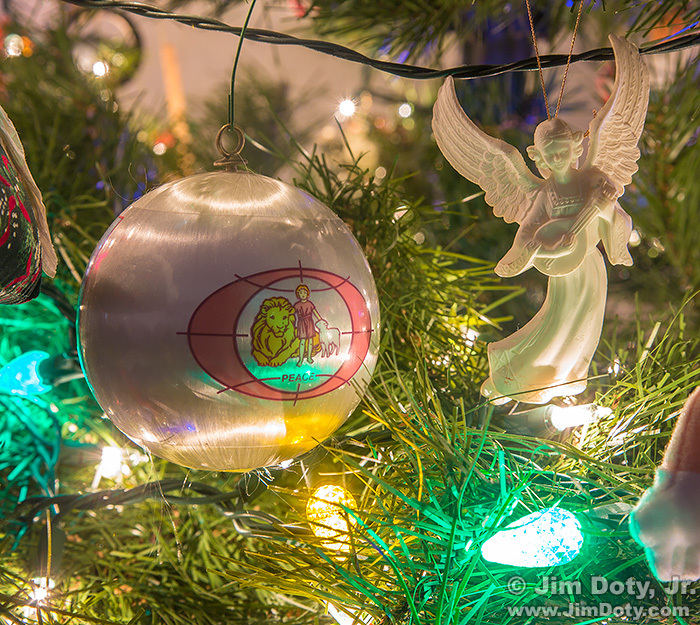 The Christmas ornament on the left is one of my favorites. The lion, the lamb, and little child are based on Isaiah 11:6, a scripture that dozens of artists have brought to life in various ways. If you have been following this series, you already know the story of the ornament on the right and why it is so special to us. The photo of these two ornaments is my favorite photo for February 2. 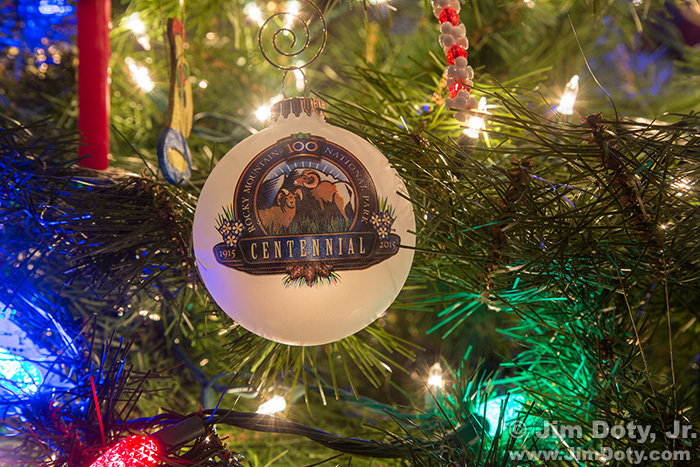 Rocky Mountain National Park, Celebration Ornament, Columbus Ohio. February 2, 2018. Rocky Mountain National Park, known affectionately as “Rocky”, turned 100 years old in 2015. It is one of my favorite places on the planet and a great place to create images. If you head for Rocky in the fall (or any other time of year), check out my travel and photography guide linked below. I have no idea how old (or should I say young) my brother and I were when our parents first took us to Rocky, but I have been in love with the place ever since. Every two or three years I go back to Rocky for my annual dose of mountains. Some years I do a fall photography workshop at Rocky. I was there the year Rocky Mountain National Park celebrated its 100 birthday and I bought this ornament as a souvenir. This photo is my second favorite image for this date.